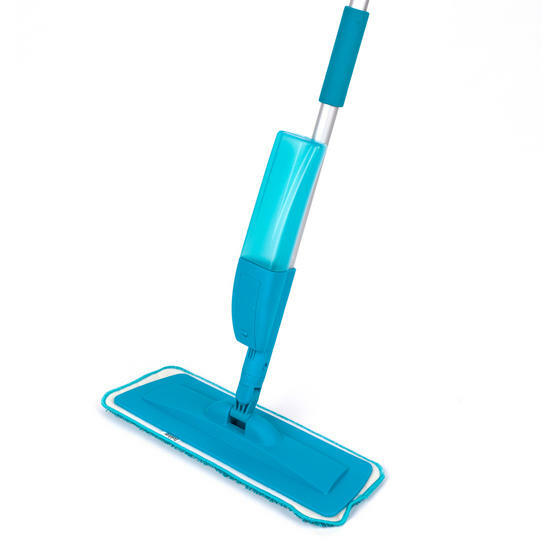 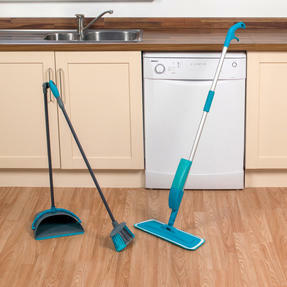 Clean your floors quickly and efficiently with this Beldray spray mop and dustpan with broom set. 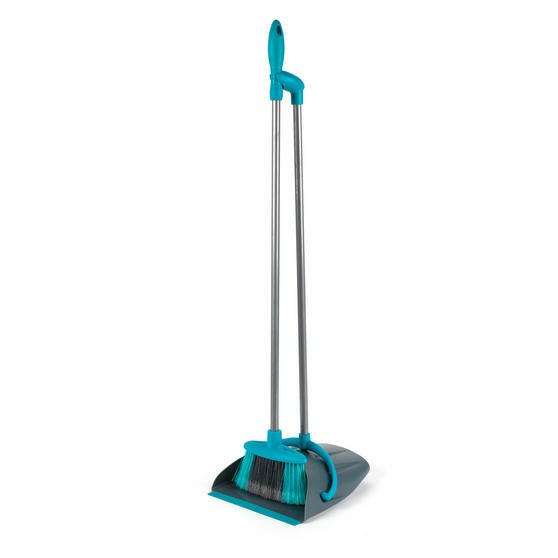 Prep your hard floors with the dustpan and broom, using the long-reach handles to sweep away large amounts of dust and dirt. 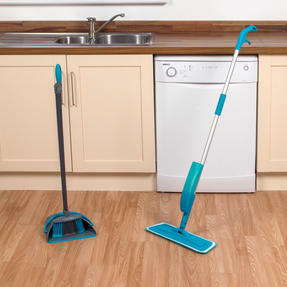 Then simply fill the water cartridge and use the spray function with the mop for an intense clean with minimal effort. 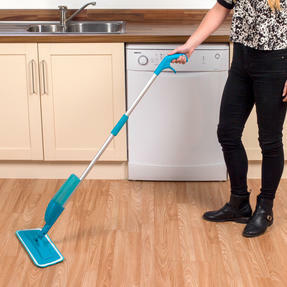 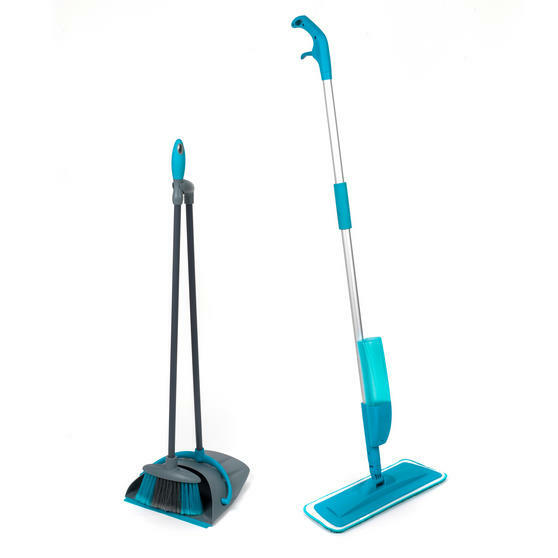 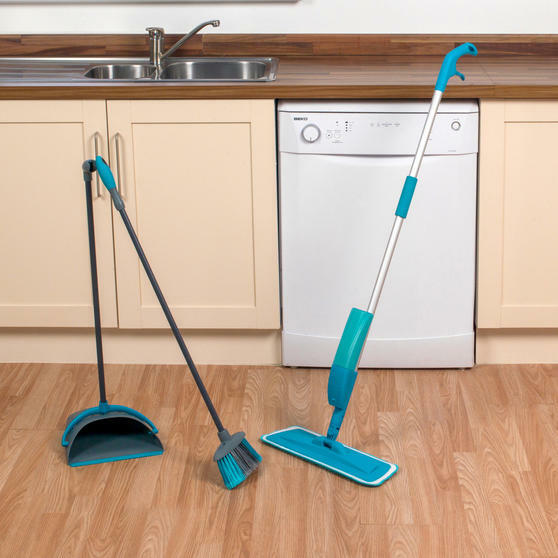 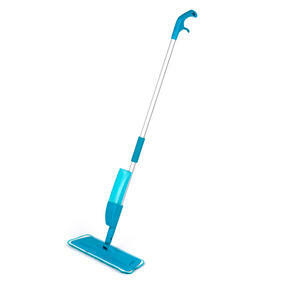 The mop and dustpan with broom both feature lightweight aluminium handles, ensuring comfort during use. 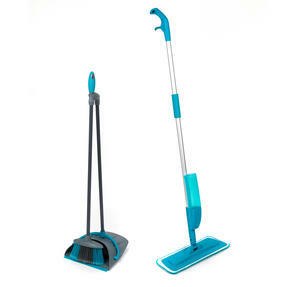 Suitable for hard floors, this Beldray spray mop and dustpan with broom set is a simple way to leave your floors sparkling. The mop features a refillable 350 ml water cartridge, spray function and a microfibre floor pad for maximum cleaning efficiency. The dustpan and broom is a useful cleaning tool, with long handles measuring 76 cm so you can use them without having to bend your back. 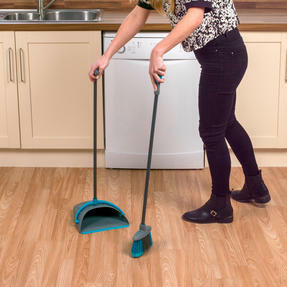 The dustpan can hold a generous amount and does not need to be emptied too often, so you can clean for longer without stopping. 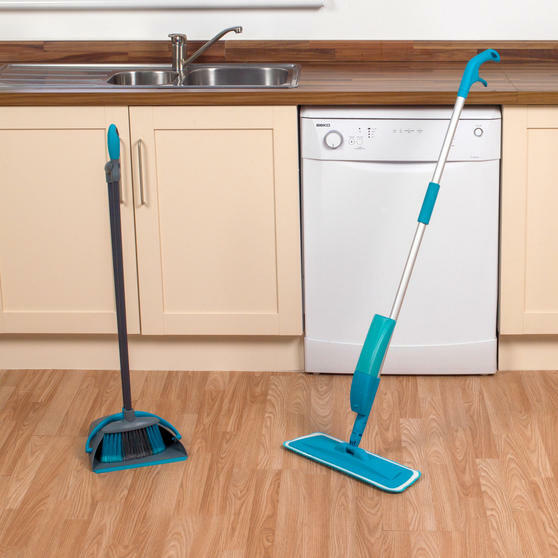 After inventing the very first collapsible ironing board, Beldray continue to innovate to bring you ingenious household products.